Highlight: The BFA design, technology and stage management program has a three-and-one-half year degree option, in which the program can be completed in nine semesters. Highlight: The BFA Production and Design major begins with a core group of classes that emphasize the fundamentals of all design disciplines. Students then move into an area of emphasis in scenery, costumes, lighting, sound, or media by the end of their second year. The advanced level studio and technique classes allow them to focus their course-work with classes in drafting, costume construction, lighting techniques and many more. Highlight: In recent years, OCU students have earned positions and internships with: Cirque du Soleil, Santa Fe Opera, Walt Disney World, Great River Shakespeare Festival, Music Theatre of Wichita, Glimmerglass Opera, Busch Gardens Theme Park, Shakespeare Festival of New Jersey, Dallas Shakespeare Festival, Creede Repertory Theatre, and Black Hills Playhouse. Highlight: The available coursework includes stagecraft, introduction to scenic and lighting, scenic design, advanced scene design, stage lighting, advanced stage lighting, stage sound engineering, introduction to costume and makeup, intermediate makeup, costume design, costume design studio, advanced theatrical makeup, and a wide variety of design and technology laboratories for hands-on experience. Highlight: Auburn University was honored to be selected as one of the four universities in US to participate at The 2012 International Stage Design Students’ Work Exchange. Exhibiting in one the most prestigious Performing Arts center in the world provided a great opportunity for our students to gain international recognition in the theatre world. Their work is now published in ISDSWE 2012 catalogue, which is a substantial portfolio piece for them. Highlight: The BFA Design & Technology program is highlighted by a ten week professional internship at a New York or professional Regional theatre for the summer before or one semester during their senior year. The internship is required for completion of the degree, where students gain valuable industry contacts and are often offered permanent employment from their internship experience. Highlight: Students have the option to spend a semester at the Ithaca College London Center while continuing to make progress towards their degree requirements. HIghlight: Erdmann-Zucchero Black Box Theatre was constructed in 2010 as part of the Roe Green Center for the School of Theatre and Dance addition to the Center for the Performing Arts. This flexible seating theatre serves as a multipurpose space and is the home of the School's Black Box Series which features 6 to 8 student produced, directed and performed works annually. Highlight: Their Sound Design curriculum includes the study of sound perception, digital audio, sound effects and music editing and reinforcement techniques. Students with a background in music and composition are encouraged to create original scores when appropriate. 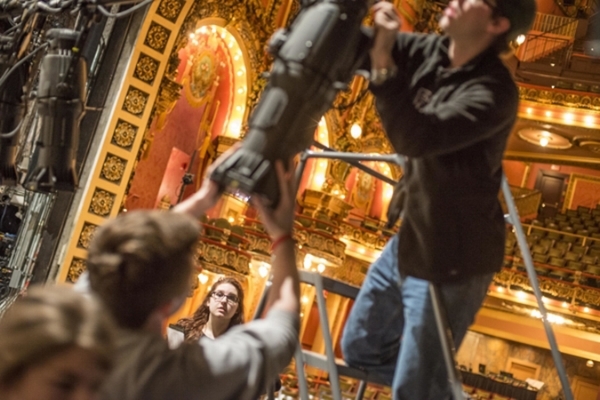 The program features numerous production assignments in both drama and musical theater which may include sound operator, assistant designer, assistant mix engineer, wireless crew, mix engineer and designer. Highlight: Theatre productions are supported with large well-equipped shop spaces. The scenery shop includes a steel working area, large assembly space, and dedicated paint shop with movable paint frame for both frame and floor painting. 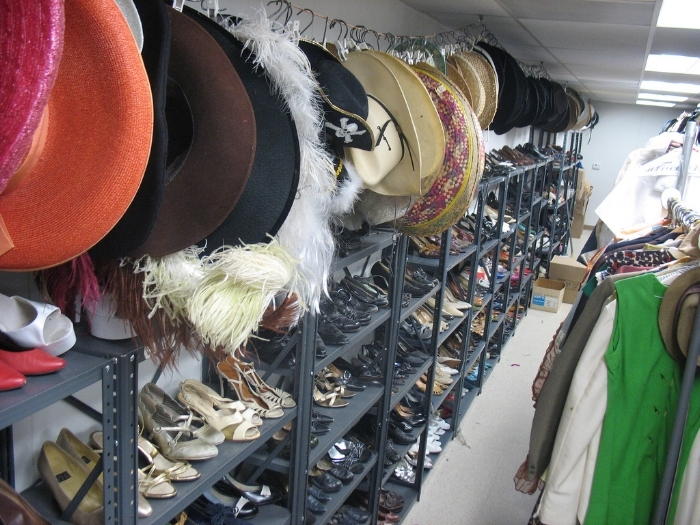 The costume area has separate teaching labs and costume production labs which include fitting rooms and laundry as well as a separate costume crafts shop and dye room. Properties has its own shop for both soft and constructed props. The school’s extensive stock is housed in a large warehouse off campus. Highlight: Students planning to major in the BFA in Acting, BFA in Design and Technology, BFA in Music Theatre or BA in Theatre Arts programs will be considered for the Alumni Fine Arts for Theatre Scholarships or the Alumni Fine Arts for Music Scholarships. These scholarships are renewable for four years and are awarded on the basis of a combination of auditions or portfolio evaluations and high school academic performance. Awards can range up to $25,000 per year. Highlight: Features innovative costume & makeup program. Combining traditional techniques such as figure drawing, watercolor, and draping/patterning with digital rendering and 3D printing, Costume Design at Baylor University prepares designers to be multifaceted creative problem-solvers for the 21st century. Learn to create dynamic characters and be a part of rich storytelling with practical, hands-on work in the classroom and on department productions. Learn from faculty with diverse design experience in theatre, film, television, dance, and themed entertainment. Highlight: Students have the opportunity to work with faculty and guest designers and be selected to contribute to production as a scenic designer, light designer, costume designer and/or properties designer for the mainstage season. Additional production and design opportunities are available with Dance Company, Second Stage Productions and in the New Works Reading Series. Highlight: Students will work from their newly expanded and renovated Theater Design Center, which includes three design studios, crafts rooms, a LightBox, CAD lab, and a design library. Their theater complex provides opportunities to work in a variety of performance spaces, including a 500-seat proscenium; a 250-seat theater that can be configured as a proscenium, thrust, or avenue stage; and our intimate Loft Theater. Highlight: Students have full access to the exceptional technical and design resources of the Performing Arts Center (PAC), gaining professional experience through active involvement in the PAC’s extensive schedule of dance, musical, and dramatic productions. Classes are conducted in modern design studios, where students have their own work space and personal drawing tables. Private and semiprivate design studios are often provided for juniors and seniors. Purchase students frequently pursue apprenticeships in studios and shops in New York City and beyond, providing rich industry experience and the opportunity to build a network of professional contacts. More than 86% of theatre design/technology graduates are working in their chosen profession. In addition, the University’s physical location, close to New York City, allows for an active interchange with many other exciting designers who live and work in the area. Both undergraduate and graduate students benefit from a combination of outstanding classroom instruction and practical work with the productions of the Connecticut Repertory Theatre. DePaul’s Bachelor of Fine Arts (BFA) degree in projection design provides training to create, manipulate, and display digital and moving images for live performances and events. 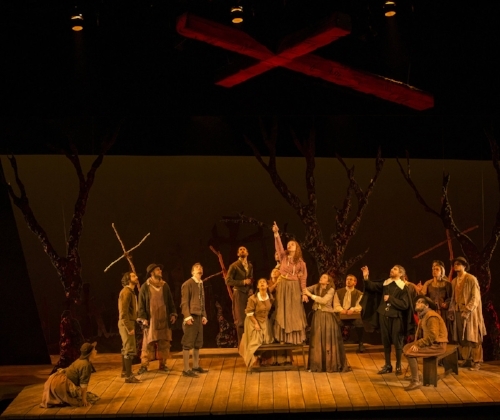 Projection designers learn to visualize, create, and implement their designs by collaborating with directors, dramaturgs, technicians, other designers, and our professional production staff. Their BFA in Stage Management is one of the oldest four year undergraduate degree programs in stage management in the country. Built on the principle of total immersion in the theatre, students who complete the program will have received training in virtually every area of the live theatre experience. One of the best collection of design faculty in the country. It includes Rob Murphy, who has almost 200 theatre, dance, and opera design credits for a wide range of professional and academic companies including designs created for the Guthrie Theatre, the Mark Taper Forum, La Jolla Play House, the Repertory Theatre of St. Louis, the Court Theatre, Missouri Repertory, and New York Theatre Workshop. Within the shop is a dye room facility with two large vats, electric hotplates and a separate washer and dryer. There is also a laundry room facility with two washing machines and dryers. Both rooms have two deep stainless multi-gallon sinks. A section of the shop is dedicated to craft work, including a fume hood room. There are two private fitting rooms and a fabric/notions secure supplies cage. This program is based on a hands-on, apprenticeship model of teaching, where students learn from highly skilled faculty; and coursework in scenic, lighting, sound, costume, props, and technical design is quickly applied to work done at professional internships or in the College’s producing laboratory, Emerson Stage. Students spend the fall semester of their third year in residence in London at Shakespeare’s Globe where they study with distinguished British designers and take full advantage of London’s dynamic theater and cultural opportunities. Field trips to theater productions, museums and galleries are all part of the program. Students then return to Rutgers in the spring, pursuing in-depth training in their area of design. Want to major in prop design? You're in luck because one of the few schools to offer such a program is housed in one of the best theatre schools in the country. At UNCSA you can receive your BFA in Stage Properties. Program graduates leave with the necessary skills to design and create these realistic props, and the hands-on experience to manage and run a stage properties shop. Their faculty literally wrote the book when it comes to prop design education. Professor Eric Hart wrote "The Prop Building Guidebook: For Theatre, Film, and TV," now in its second edition and is considered the standard textbook in this subject. It's widely known that Carnegie Mellon University is a theatre education powerhouse, and their Design/Tech programs are a big reason why. At CMU, every single aspect of theatre design/tech is covered. Not only do they offer programs in Costume, Scenic, and Lighting - but also Sound Design, Technical Direction, and Video & Media Design. The facilities here are a designers dream. The Wells Video Studio(pictured above) was donated by John Wells and is a hands-on classroom that also serves as an automated light lab and performance space for new works and one act plays. It has a three-camera step up used for acting and directing for the camera. The Sound Lab is a workspace used by students for their sound class projects and production designs. The space is equipped with both Mac and PC computer workstations. Software includes ProTools, Peak, Logic Audio, SFX, Qlab, Smaart, EASE and Audacity. There is no better school in the country that is preparing students for a versatile career in entertainment design and technology than SCAD. Their BFA in Production Design will prepare future designers for careers for stage and screen. The program features four different concentrations in Costume, Lighting, Set Design & Art Direction as well as Theme Park Design. With their three theatres, design/tech students have recently worked on productions of Peter & the Starcatcher, The Foreigner and The 25th Annual Putnam County Spelling Bee. Also, given Georgia's recent boom in film/TV production, students have been able to work on the sets of movies and such such as Black Panther, The Walking Dead, Stranger Things and Baby Driver. One aspect we particularly liked about SCAD, was their emphasis on career development. Internships are required as part of the program and post-graduate support is plentiful through their Career & Alumni Success office. Right now, SCAD boasts that of their most recent graduating class, 99% of them were either fully employed or seeking further education within 10 months. Full Disclosure: Our design/tech research team consisted of a current BFA student, two professional lighting designers, one costume design educator, one scenic designer and two admissions professionals. They're associated with the following schools - SUNY Purchase, Oakland University, Northern Illinois University, Pace University, Kean University, Adelphi University and Yale University. To avoid conflict of interest, they did not adjudicate their associated programs.